Berland was CEO of Edelman Berland, the firm's strategic research and analytics business, which will now reconstitute as Edelman Intelligence under Antoine Harary. NEW YORK: Michael Berland departed Edelman, the world’s largest PR agency, two weeks ago to focus on political consulting. Berland said he decided to leave because the mission of getting research, insights, and analytics into all parts of Edelman’s business has been accomplished. He wants to focus on political campaigns, though his next move is still to be determined. He noted that he will continue commentating on Fox Business Network. "I am really proud of what we were able to achieve [at Edelman]," said Berland. "It speaks to the Edelman culture of always pushing to the next level and understanding the importance of research and analytics in comms." Antoine Harary, global MD of Edelman Berland and formerly GM and regional head of Europe at the unit, will lead the newly formed Edelman Intelligence unit, splitting his time between Paris, where he is currently based, and the U.S.
"[Berland] is exiting to do some political consulting," said Edelman global COO Matthew Harrington. "[Harary] did a fantastic job in Europe and will refresh the [Edelman Berland] brand under the Edelman Intelligence banner." The former Edelman Berland business comprises more than 100 people, with teams of size in New York, Washington, D.C., San Francisco, and Chicago. Edelman’s analytics team, which was previously housed within Edelman Digital, will become part of Edelman Intelligence. 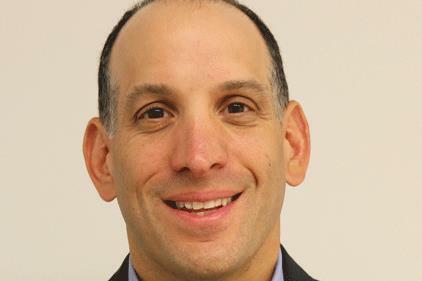 The firm’s Atlanta-based global MD of strategic growth, Craig Kronenberger, who leads analytics, will report to Harary. Edelman brought on Berland in September 2012 for a global role leading its strategic research and analytics business, which was renamed "Edelman Berland." He reported to Harrington. StrategyOne, Edelman’s market research firm, was folded into Edelman Berland. Previously, Berland was president of Penn Schoen Berland, where he worked with clients such as PepsiCo and Shell. Prior, he was a strategic adviser to former New York City Mayor Michael Bloomberg in his 2001 and 2005 mayoral campaigns. He also worked on then-Sen. Hillary Clinton’s (D-NY) 2006 senatorial re-election and 2008 presidential campaigns. Penn Schoen Berland, a part of Burson-Marsteller, appointed Billy Mann to replace Berland as president in late 2013. Mann left last year to start a new consultancy called Quadrant Strategies - he is still an adviser to PSB, which is now led by CEO Curtis Freet. After the StrategyOne market research unit was merged into Edelman Berland, its former global CEO, Steve Lombardo, joined Burson-Marsteller as chair of its combined US public affairs and crisis practice in April 2013. The next February, Lombardo moved to the Koch Companies Public Sector, handling communications and corporate reputation efforts for companies within Koch Industries, as chief communications and marketing officer. Harary joined Edelman in 2007 to establish and develop the Paris office of Edelman Berland. He then added operations of the firm in Europe & the CIS, managing a team of 45 business intelligence experts on international research and consulting projects in more than 50 countries. Prior to Edelman, Harary worked in the auto industry for Peugeot Citroen as a senior research manager reporting to the group EVP for communications. Separately, at the start of this year, H. J. Heinz and McGraw Hill Financial veteran Ted Smyth transitioned from his role as vice chair and chief of staff at Edelman to concentrate on senior consultancy with the firm’s clients in the financial and food and beverage sectors. Smyth joined Edelman in August 2015 as a member of the firm’s executive committee, working closely with president and CEO Richard Edelman and COO Harrington on coordinating company-wide goal setting and progress assessment. Edelman global chief strategy officer Glenn Engler left the agency last August after 21 months. He worked closely with Richard Edelman on the strategic direction of the firm, including key initiatives, strategic partnerships, and major clients. Engler was also a member of Edelman's global executive committee. His LinkedIn profile has not been updated with a new job. Edelman’s global PR revenues were up 7.2% in calendar year 2015 on a like-for-like basis, reaching $854.6 million. Additional reporting by Diana Bradley and Frank Washkuch. This story was updated with details of Penn Schoen Berland's new leadership.